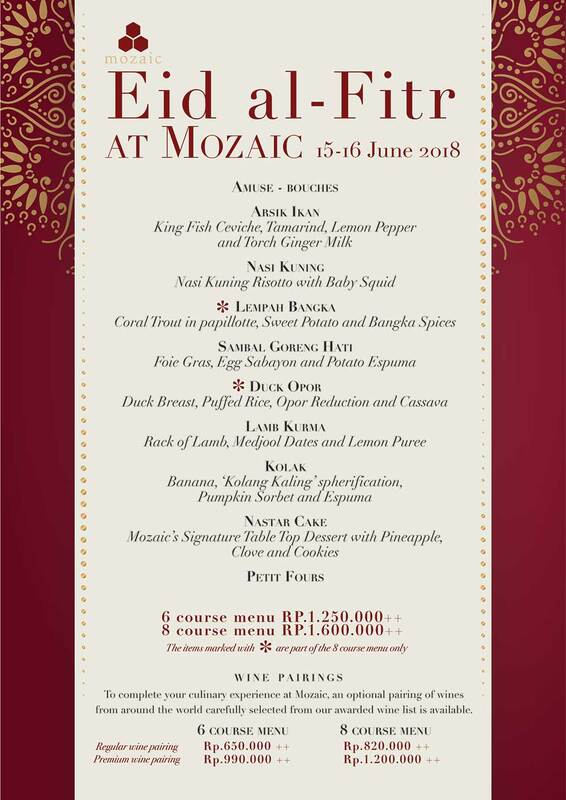 On June 15th and 16th Mozaic will be offering a special Idul Fitri tasting menu during the two days of Lebaran. Chris Salans and his team of chefs have prepared a special menu composed solely of traditional Idul Fitri dishes from across the Indonesian archipelago, deconstructed and reconstructed in a truly formidable dining experience true to Chris Salans’s culinary philosophy. Don’t miss this truly unique dinner.